First, I have to say, I’ve forgotten how much I love a good ghost/haunting story. Thank you Ms. Hand for reminding me. This story is written in first person – multiple narrators. Present tense – the narrators are speaking now of something that happened in the past. I’m not sure how that pertains to tense. What is really nifty about this book is that the author wrote it like a paranormal show interviewing people about a ghost or haunting they experienced. Granted that is what Ms. Hand was going for with the story, but she did it superbly. No, I don’t drink anymore. I’ve been sober for thirty-seven years now, longer than you’ve been alive. Back then, I could pack it away. Occupational hazard of the folksinger in those days. Rock and rollers, too. Les, she still does – you can see that on her face. Don’t print that. She has her reasons. I kind of swoon at how well this is written. Why I love this so much is that it’s like paranormal shows where a person answers a question you don’t hear offscreen, but you know what was asked because the person onscreen uses a complete sentence to answer. I would love to share more excerpts, but it’s such a short story that I just can’t. The excerpt I included was clearly in the present, but they delve into the past and yet, you still get the feeling you are sitting in a room listening to whichever narrator is up at the moment. When you have multiple narrators, each speaking in their own chapter it is very clear who is up and who is speaking. However, Ms. Hand takes it a step further and each character is quite different from each other. If I were to pick up the book and not see the chapter, I could still differentiate between the characters. That may seem easy, but it’s really not. As I think about the tense of stories I’m finding I don’t have a whole lot to analyze. They all seem to be flowing well. I’m getting lucky with my reading picks. Chip Crockett’s Christmas Carol – another book by Elizabeth which I have on my to-read list and which I’m sure will require a serious amount of tissues. 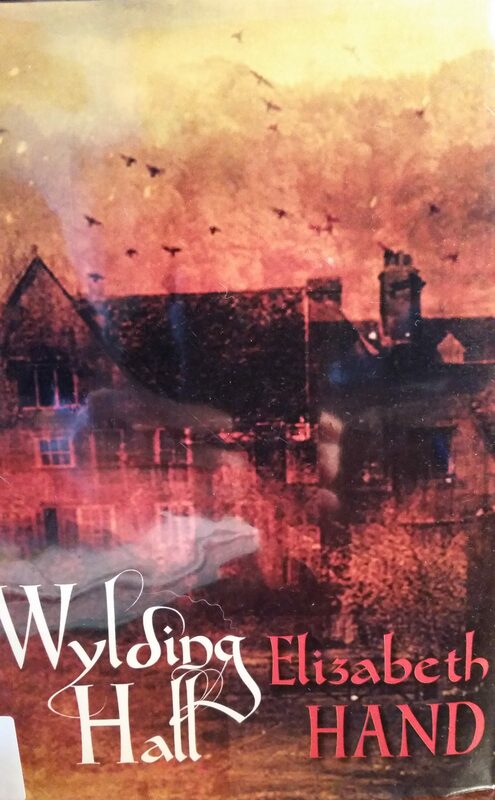 Have you read Wylding Hall? What do you think?